If this child has been enroled here before by this parent but left and now they are back, you will need to restart the exited enrolment. 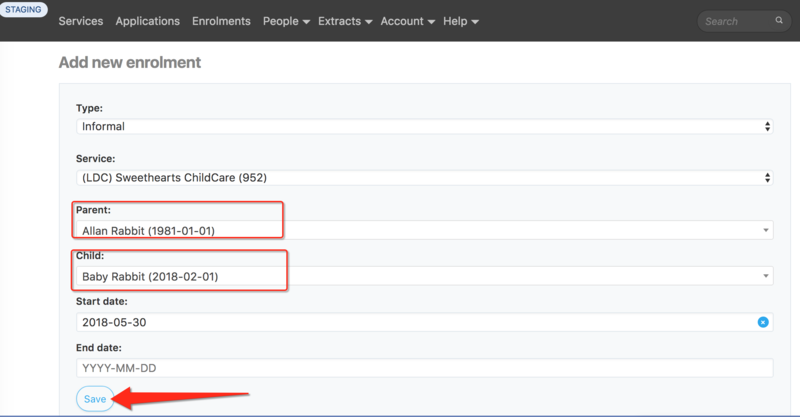 1.Query the enrolment to find the ceased date. 3.Choose a new start date that’s on or after the ceased date, can even be today’s date (as long as it covers any new attendances) Eg. If the ceased date is a Monday & you have an attendance session on that day, make the start date the Monday. In some cases they may cease it on a Wednesday when the child will have attendances on the Monday & Tuesday, in these circumstances always choose the Monday as the start date, even if it’s a day or two before the ceased date. 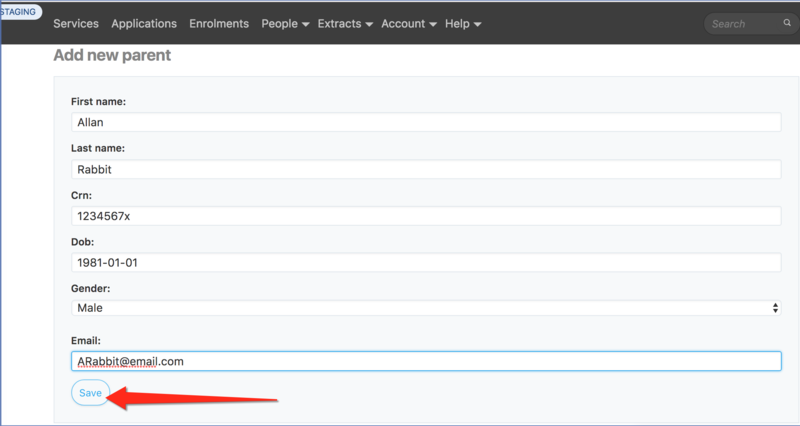 5.Select Save - to resubmit the new restart date on the enrolment. This will wake the enrolment back up (restart - status will be PENDIN) and you can then add bookings and submit attendances as normal. Create the Parent. Click People -> Parents -> New Parent. 2.Fill in the details and click “Save”. 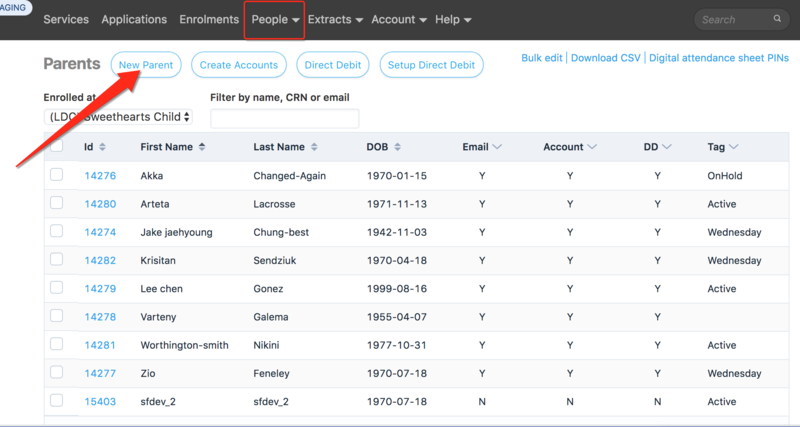 4.Enter child details and “Save”. 6. Now that both Parent and Child are in the system, link the accounts and Save. Enrolment with booking is now created! 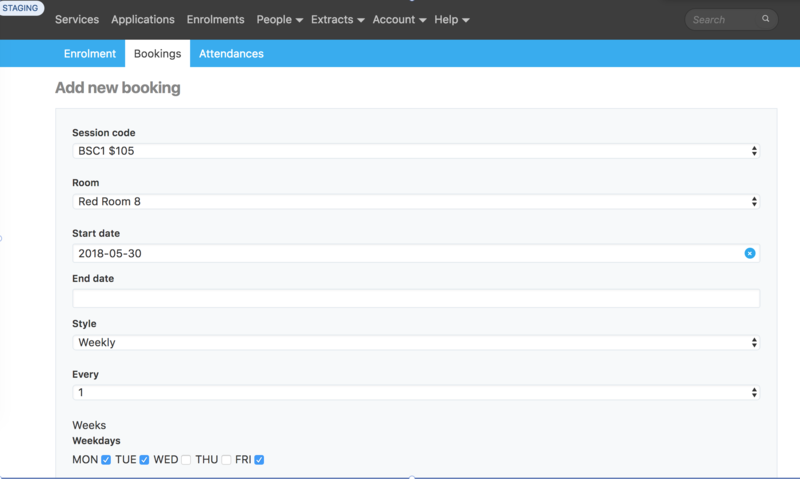 After creating a new enrolment the next step would normally be to add a booking to the enrolment.